Please join us at the Transregional Center for Democratic Studies for an open house and reception for new students, alumni, friends and associates. 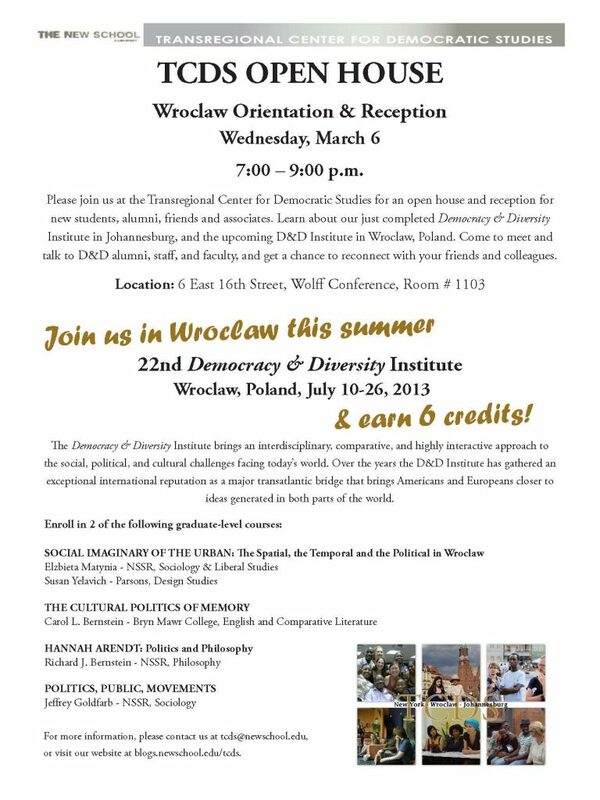 Learn about our just completed Democracy & Diversity Institute in Johannesburg, and the upcoming D&D Institute in Wroclaw, Poland, to be held from July 10 – 26, 2013. Come to meet and talk to D&D alumni, staff, and faculty, and get a chance to reconnect with your friends and colleagues.